Thirsty Thursdays: With my host and tea maker in Little Likeng, Jiangxi, China. Little Likeng is a dreamy little ancient Chinese Village. 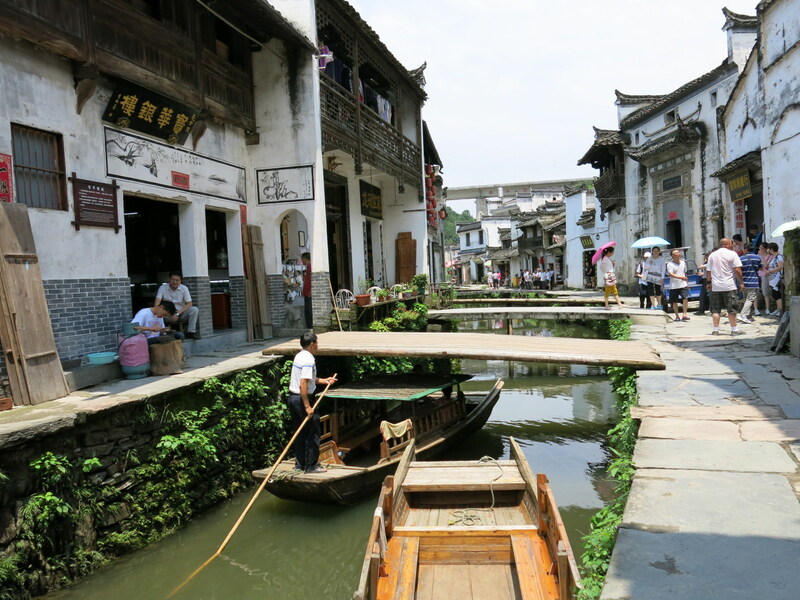 Situated in a province that is not often visited by foreign backpacker s(Jiangxi), this gem of a place takes you to the China you really want to see. No skyscrapers, no factories, just a basic existence in a village by a river. Life stands still in Little Likeng, so it’s time for a cup of Chinese tea on Thirsty Thursdays! 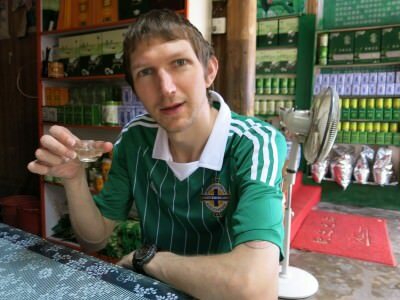 Thirsty Thursdays: Time for Chinese tea in Little Likeng! Walking through the village of Little Likeng and we spot a load of tea houses. We stayed here for a night and toured a few of the nearby villages too (including Jiangling and Xiaoqi). It’s a beautiful part of China to visit. 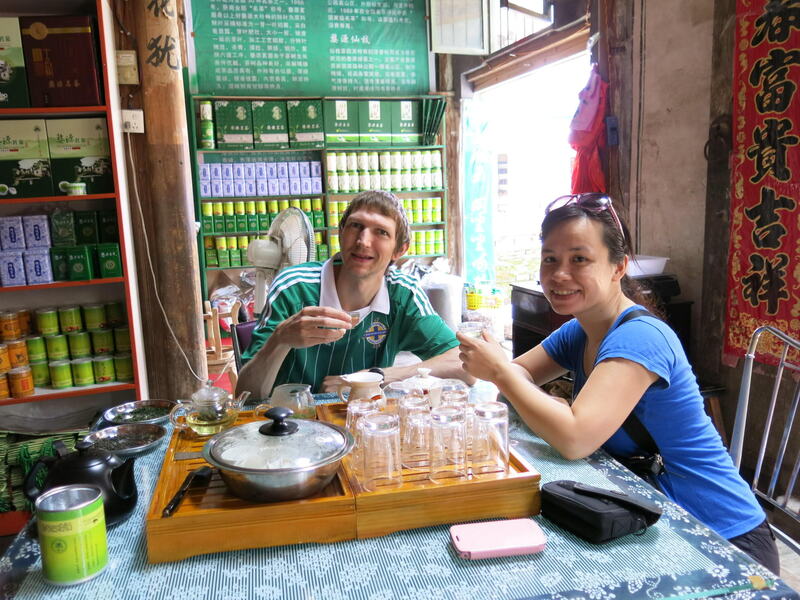 Tea time in China is special. You sit down and relax. It’s very much a relaxed and chilled out thing to do. You sip tea gently. You watch it brew. You enjoy the taste and you drink as much as you want. You don’t worry about anything else in life! For as little as 3 RMB you can get a small cup of tea in one of the teahouses in Little Likeng. We splashed out on a full pot and took it home with us, even that was still only around $3 US Dollars!! 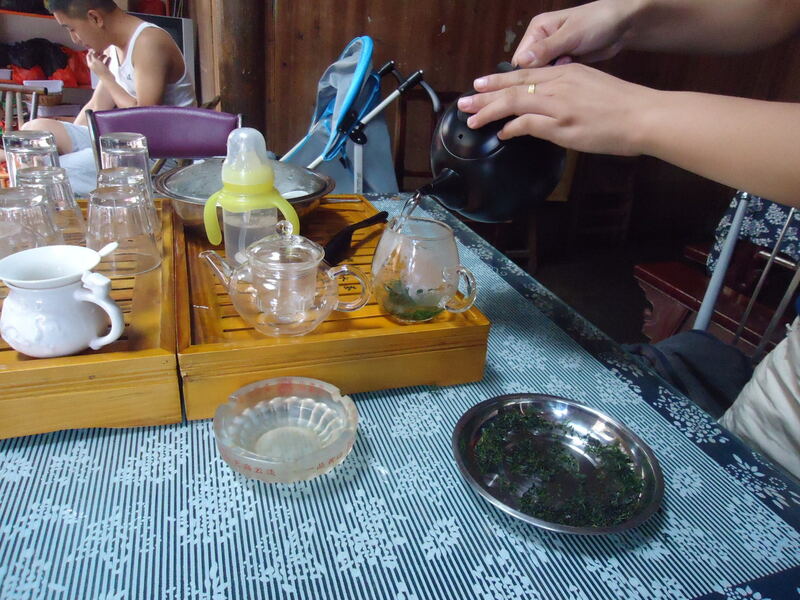 Preparing the tea in Little Likeng, Jiangxi Province, China. In terms of flavours the Chinese have way too many to choose from, so take your pick. Or just let your hosts supply you. 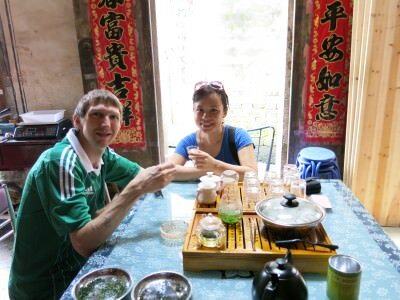 Getting ready for the Chinese Tea in Little Likeng, China. Not many foreigners visit small villages like Little Likeng and I buzz off places like this. The local tea shop in Little Likeng, China. 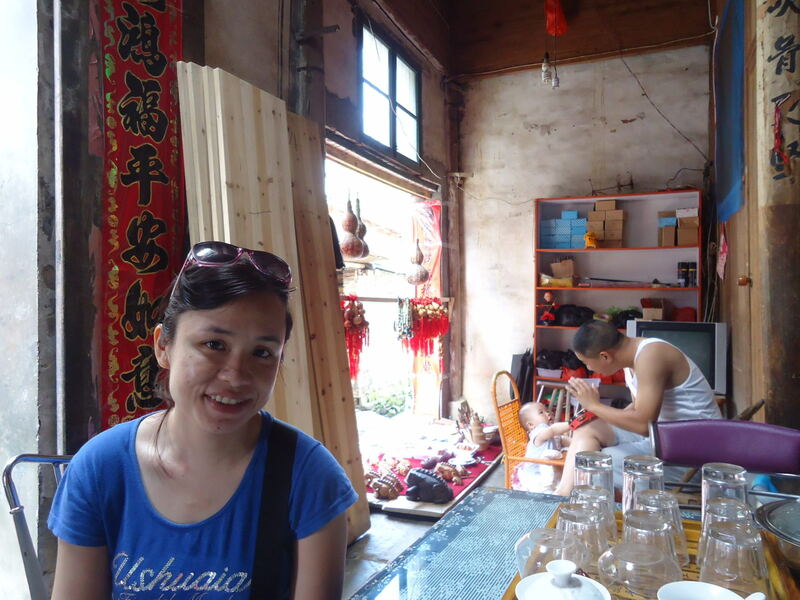 You just go inside the tea house which is really just an elaborate tea shop with a table and a few seats. You sit down and they serve you. 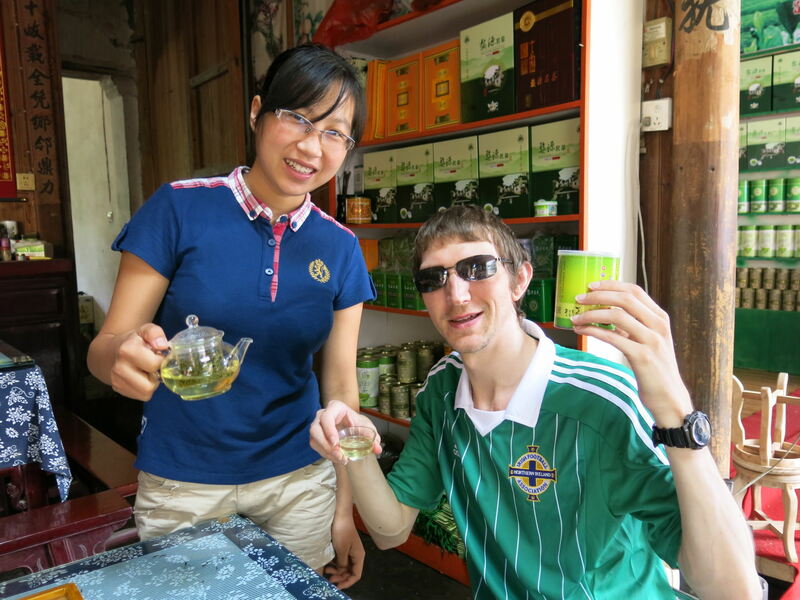 I’m lucky that the travelling Hong Kong girl speaks Chinese, but no stress if you don’t – they know you want tea. Nobody speaks English at all of course in places like this. As well as the choice of tea you also have the option to take some tea home with you. Basically they are letting you try the tea and if you like it, you get some tea leaves put into a tub to take away. We enjoyed the tea and we took some away with us. This cost 30 RMB – the tub will last a long time if you go easy on it! 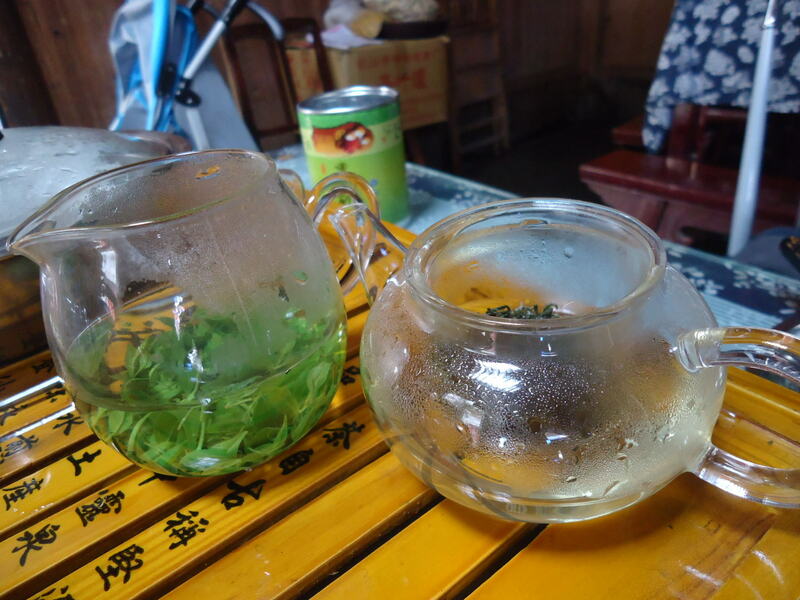 Thirsty Thursdays: Drinking tea in Little Likeng, Jiangxi, China. 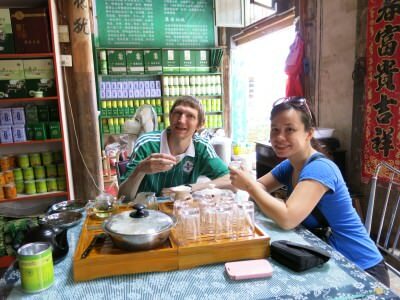 This is not the first time I’ve tried tea in China of course, far from it – I also tried tea in Beijing in 2007 on my first visit to the country, and several times in between including in Kaiping and while backpacking in Fujian Province. Also of note, drinking coffee in Little Likeng is also popular and I wrote about it as well!! 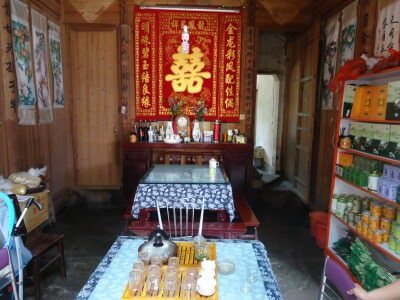 This entry was posted in Asia, China, Daily Features, Destinations, Jiangxi, Little Likeng, Thirsty Thursdays. Bookmark the permalink. Sounds really good. Too often in the West, they just call it ‘Chinese Tea’, one flavour and that’s it mate.